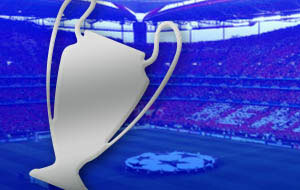 Champions League Final tickets for the final of the UEFA Champions League 2019 at the Wanda Metropolitana in Madrid, Spain. The Champions League Final fixture date is 1 June 2019. Estadio Wanda Metropolitana is the home ground of Atletico Madrid. Current Champions League champions are Real Madrid who beat Liverpool 3-1 in last season's final. Buy tickets for the Champions League final 2019 and enjoy the experience of watching the biggest football club game of the year! 1st4 Football Tickets offers Champions League Final tickets 2019. Last year, it was Real Madrid who won the Champions League Final with a victory over Liverpool in the final in Kiev. In addition to tickets for the Champions League final, we offer football tickets to other games in the UK and Europe. The remaining two teams in the Champions League Finals are the two best footbal club teams in Europe. They will try to secure their dream final at San Siro and they will do everything in their power to win the most sought football club title: the UEFA Champions League Final. Browse our real time inventory for UEFA Champions League Final tickets and buy tickets securely online or call our ticket hotline to see the biggest football match of the year with world class players. Order your 2019 UEFA Champions League Final tickets now! You can buy tickets for the final at 1st4FootballTickets.com securely online - or you can call our football ticket hotline @ UK TEL: 0871 284 5277! Every Champions League ticket order from 1st4FootbalTickets.com comes with a 150% guarantee, and will be delivered to your home, hotel, or office ASAP by our reliable partners FedEx and Royal Mail Special Delivery. On the road to the Champions League Final clash at NSC Olimpiyskiy Stadium on June 1st in Madrid, Spain there are some mouth-watering match-ups between the biggest clubs in Europe. Buy premium 2019 Champions League tickets and hard-to-get and sold-out Champions League Final 2018 tickets securely now online.